If you’re lucky enough to have a holiday booked with an itinerary better than James Packer’s, you will need to be sure you look the part. 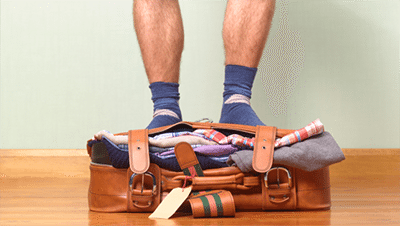 Whether you’re visiting the Strip, Atlantic City, Monaco, or even heading to the capital cities of Australia, you need to know what to pack on a gambling holiday so you aren’t left forking out gambling funds to cover forgotten items. The first thing you need to do to be able to pack appropriately is do your research. Things like where you are headed, the temperatures expected for the time you will be there, and the casinos you will be visiting need to be considered. Even if you plan to be in the casino the majority of the time you will no doubt do some sightseeing and venture outside so knowing the average temperatures will decide whether you pack predominantly summer or winter clothing. Dress code – formal or informal? Going out clothes – if there’s a nightclub in the casino complex you may want to head there after a few rounds on the pokies. These places will usually have dress codes – generally long pants and a button up for guys at the minimum and a nice dress for the ladies. Pack a few nice outfits, but don’t over do it if you plan to be in the casino most of the time. 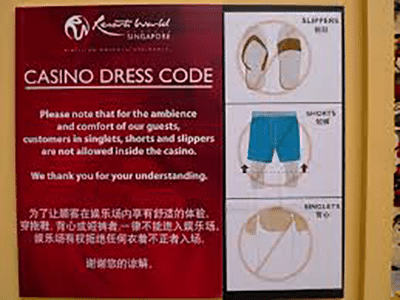 Casual clothes – if the casinos you are planning on visiting don’t have dress codes then your luggage should be predominantly casual clothes. The best part is they transfer well if you plan to do some sightseeing too. Season-appropriate clothes – as we detailed above it is important to know what the temperatures will be so you can pack summer or winter clothes. Just because Vegas is a desert doesn’t mean Winter isn’t absolutely freezing, so be prepared. A nice blazer – for males, or a cardigan/jacket for girls as some people consider the casinos to be quite cold even in the hot summer months. Shoes – a nice pair of dress shoes for males and a pair of heels for females are always a good idea, irrespective of the dress code, as there may be restaurants in the casinos which do and these shoes can always dress a casual outfit up. Comfortable shoes are also a must for every other occasion. Gambling money – set aside a bankroll specific for gambling. If you have a nice bankroll this will allow you to have fun at the tables or on the pokies without worrying if you will have enough money for dinner and other activities. Medicines – whether you have certain medicines you need to bring, or you just want to have them on hand in case, make up a small little kit with the essentials such as ibuprofen, Band-Aids, Imodium, and anything else you can think you might need. Your good luck charm – whether it is a lucky sock, a pair of underwear, a necklace, or even a fancy watch be sure to pack your lucky charm. Once you are all packed, go over your list as you may find you have forgotten items or it might jog your memory to anything you might have missed. Most importantly, remember to budget appropriately and have an incredible time on your gambling vacation.